The use of benzodiazepines was linked to a fivefold increase in the risk for opioid-related overdose during the first 90 days of such treatment, according to findings recently published in JAMA Network Open. 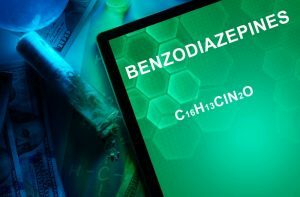 “The concurrent administration of benzodiazepines increases the risk of opioid-related overdose because of the combination of their depressant effects on the central nervous system’s controls for respiration. For this reason, the [CDC] recommends against their concurrent use,” Immaculata Hernandez, PharmD, PhD, of the School of Pharmacy at the University of Pittsburgh, and colleagues wrote.